Secure key storage for car rental companies makes it easy to rent out cars remotely. 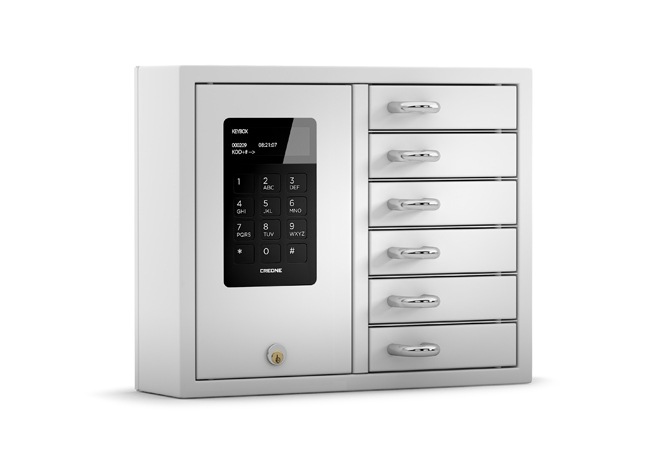 The KeyBox 900S from Creone offers a safe and secure solution for key storage in your business. By giving your customers a personal code, you do not need to always be on site to rent out cars. Let your customers pick up and return their rented cars at a convenient time and without having to wait. A unique, personal code to the relevant key compartment can be sent via a text or a phone notification. 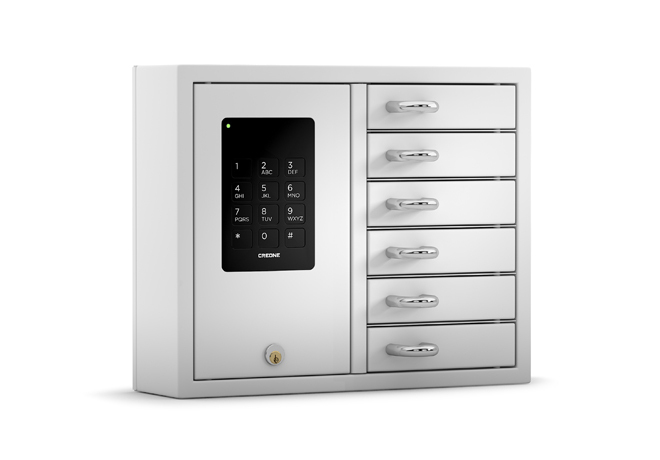 Key cabinet in the Basic series with 6 small compartments.